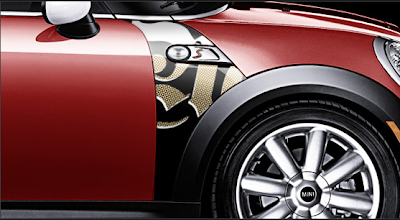 You can now personalise your MINI for as little as $10. Roofs graphics, side panels, stripes, interiors - and a massive range to choose from. This black and gold panel costs $99. I'm impressed. Very. Wow! Nice offer. Thank you for sharing the information!